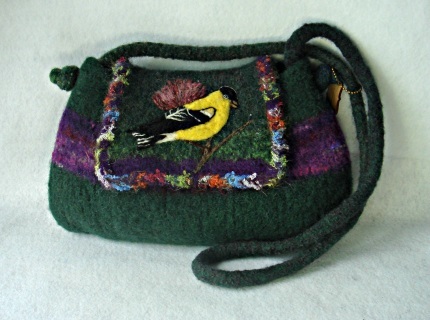 DESCRIPTION: A beautiful colorful but classy felted bag with an American Goldfinch highlighting the flap. 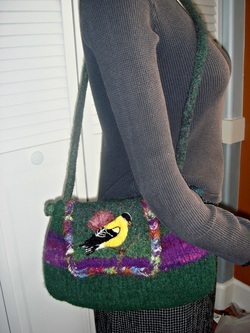 It closes with a magnetic snap and has an inside pocket. 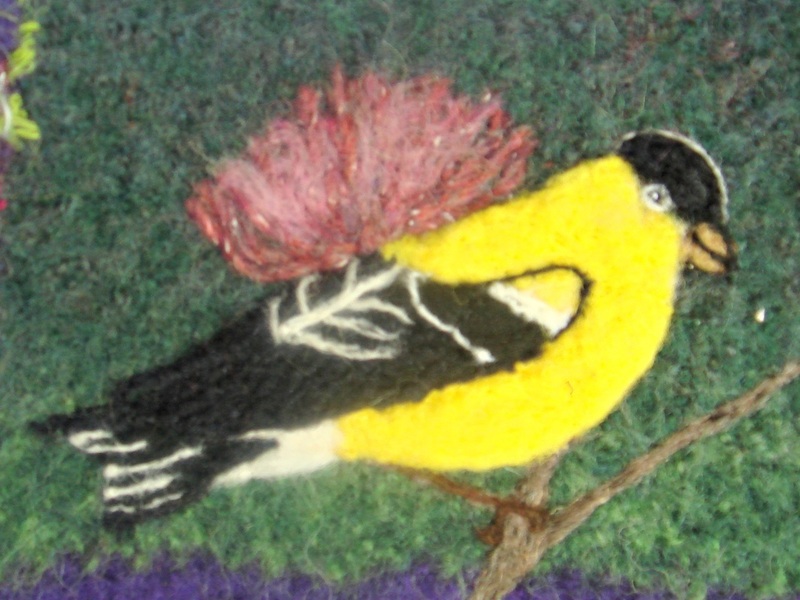 The measurements are: 14" X 7" X 2.5". The ADJUSTABLE strap has a 22" drop but can easily be shortened. Gorgeous! 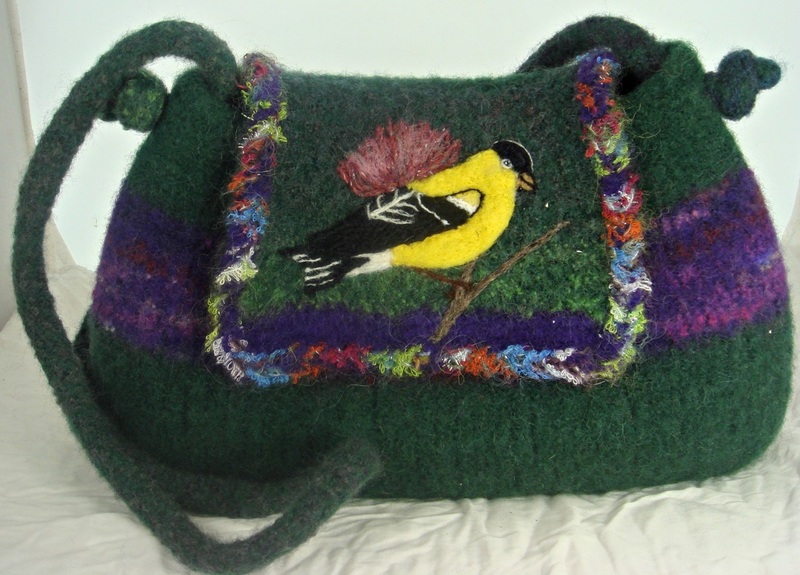 MEASUREMENTS: 14" X 17" X 2.5"